Bison were essential to the survival of many First Nation people, especially those of the plains and woodlands in present-day Alberta. 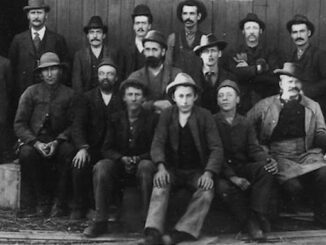 Many groups were nomadic, following the enormous bison herds as they grazed their way across the land. 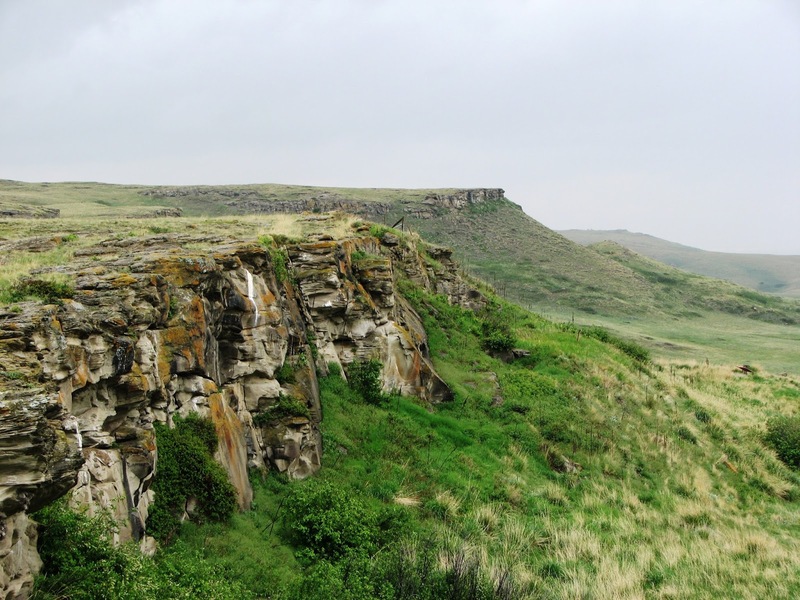 These groups were completely in tune with the natural world around them and had such a deep understanding of wildlife behaviour that they were able to hunt bison by stampeding them over a cliff (called Buffalo Jumps). All parts of the bison were used; nothing was left to waste. Bison were the primary food source for many and provided the necessities for clothing, tools, shelter, and more. 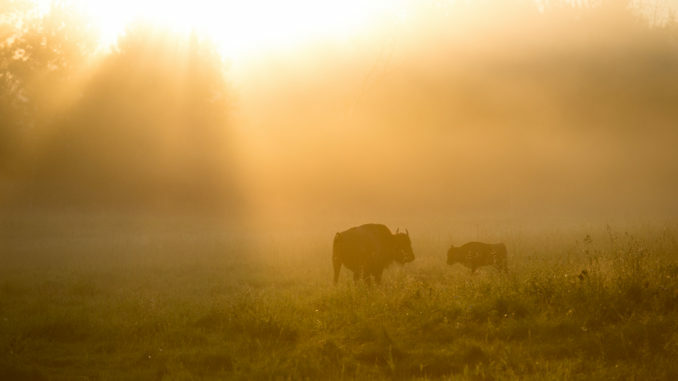 First Nation dependence on bison became so connected to their way of life that the relationship was almost spiritual. Bison featured prominently in many stories and dances and were often principal characters in many creation legends. The bison is a symbol of subsistence, strength, and the ability to survive. 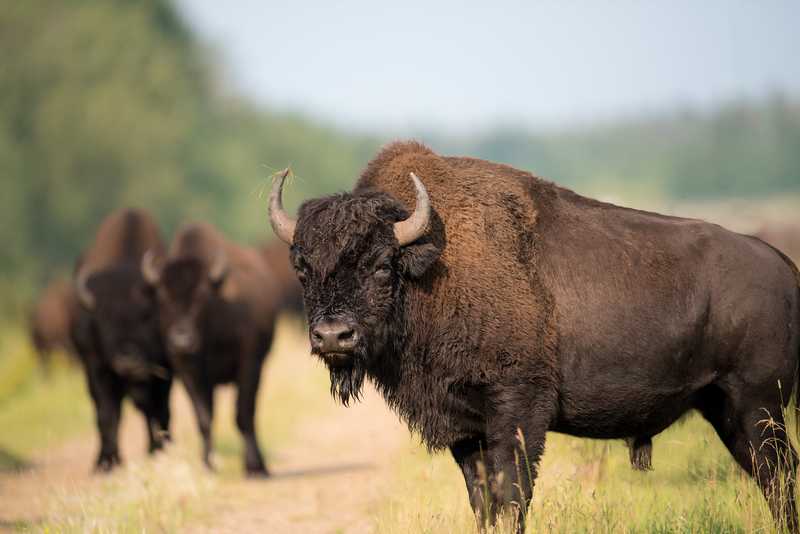 With this connectedness it’s no surprise that a rare figure in the bison world would be reason for celebration. 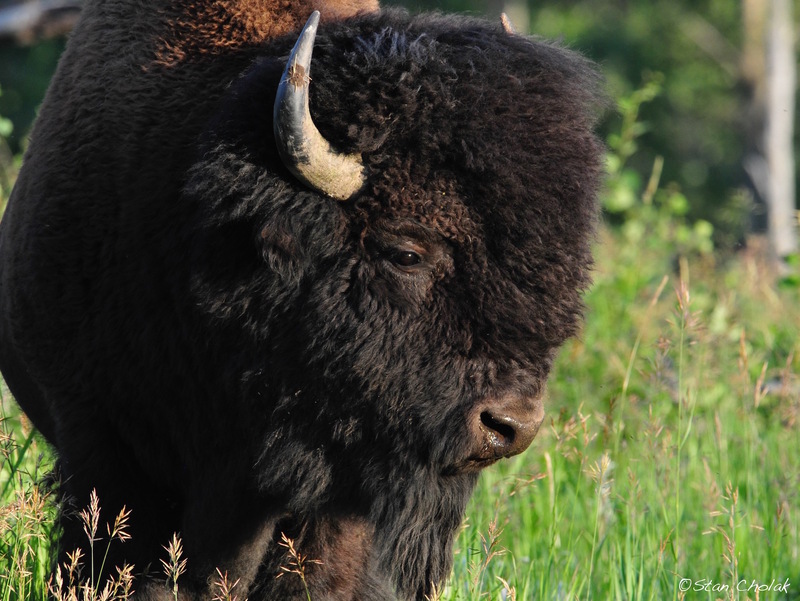 Scientifically the term “buffalo” is incorrect for the species in North America. Bison is the correct terminology as the Latin name, Bison bison, suggests, but common usage of “buffalo” when describing “bison” has resulted in the two being used interchangeably. To fully grasp the cultural significance of the white bison one should look to the legend of the White Buffalo Calf Woman; a sacred woman and primary cultural prophet for different First Nation groups. Although there are different versions of the story the same central elements are present. During a time of great famine two scouts were sent away to search for food. A beautiful woman dressed in white appeared before the men and returned to their camp where she presented the sacred pipe that showed how all things were connected. She also spoke of the Seven Sacred Rites. Eventually she turned into a white bison calf and then disappeared. Shortly after vanishing boundless herds of bison began appearing outside the camp, ending the famine. The white bison is a rare sight. 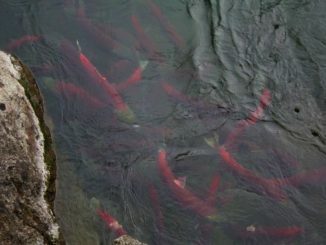 Many species have a white colouration, but this abnormality is usually attributed to albinism. In this case white bison are not albinos, but contain a recessive gene causing their fur to be snow-white instead of the usual dark brown, much like the Kermode or Spirit Bears of the Great Bear Rainforest in British Columbia. The recessive gene is so rare that it only occurs once out of every ten million births. In the wild all-white bison would have been easy targets for predators, standing out in a vast sea of brown bodies. 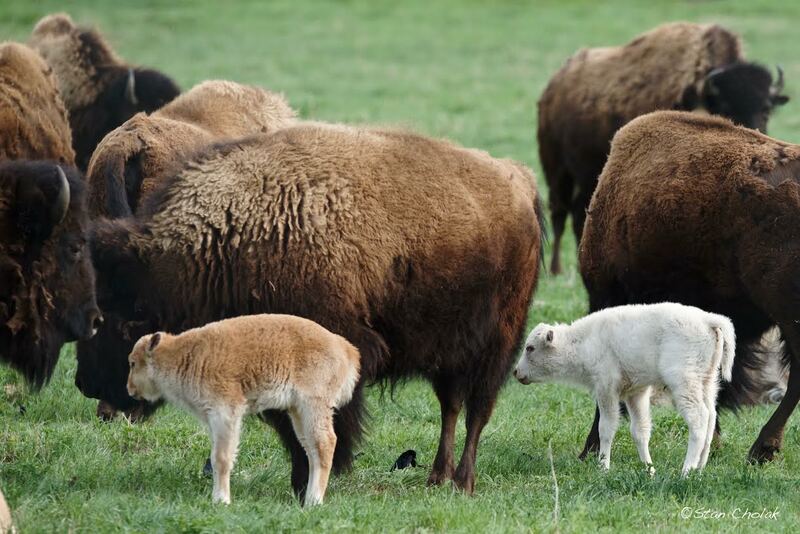 When bison herds were decimated by the end of the nineteenth century it was believed that the recessive gene may have been lost forever, thankfully this was not the case and white bison calves are still born across the continent. The birth of a white bison can be a popular event. 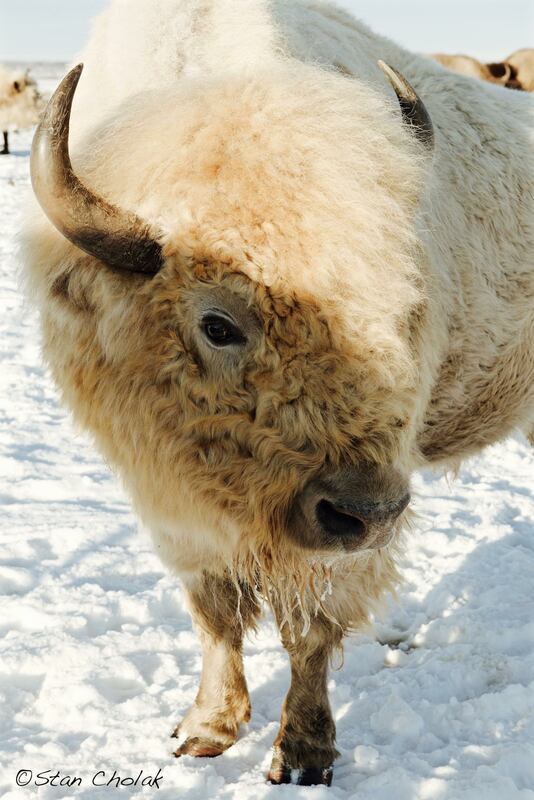 White bison are sacred animals to many First Nation people and are viewed as harbingers of hope, rebirth, peace, and unity. To be in the presence of such a beast can be a very spiritual experience for many. It is not uncommon to bring offerings, such as tobacco, to honour the white bison’s presence and corrals can be adorned with medicine pouches and prayer flags as a sign of respect. 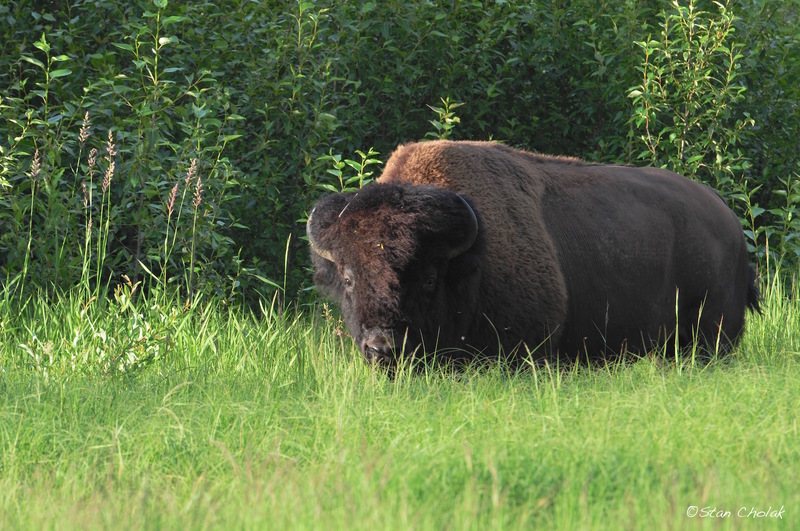 People will travel great distances just to spend a few moments in the bison’s company. A quick Google search turns up several articles about calves being born across western Canada and the northwest United States. Their importance starts to become even clearer when a birth is a major newsworthy event. Although I haven’t seen a white bison in person their impact has always intrigued me. Unfortunately I missed Teton, a male white bison while he was a temporary resident of the Rafter 6 Ranch west of Calgary, but I haven’t lost hope of meeting one someday. I am not of First Nation descent so much of the white bison’s importance may be lost to me, but I feel it can still have deep meaning if I take the time to learn about its cultural significance and reflect on how it fits into my own life. 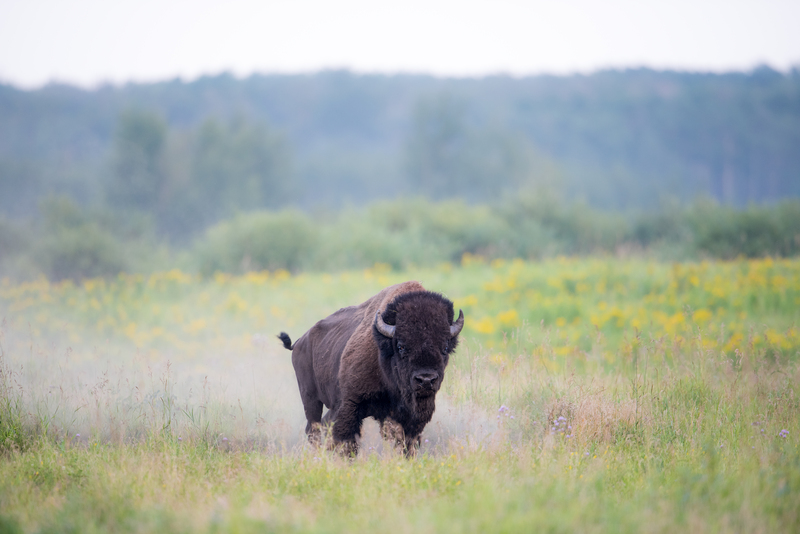 I’d like to take this time to thank Stan Cholak for allowing his incredible photographs to accompany this story and Janelle Lane from Parks Canada for providing me the magnificent bison photos from Elk Island National Park. 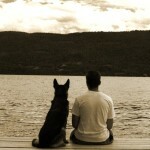 This story is so much richer by having them included. If you’d like to see more of Stan’s work please follow him on Twitter. Likewise, to stay up to date with everything happening in Elk Island Twitter is an excellent resource. Although finding a white bison to photograph has proved exceedingly difficult there are still places in Alberta where you’re able to view wild bison. Elk Island National Park is one of the best places to start and at only 50km east of Edmonton is also easily accessible. 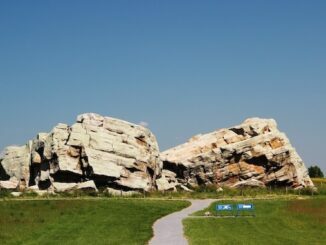 Wood Buffalo National Park, straddling the border between Alberta and the Northwest Territories also has herds of bison, but isn’t the most accessible park in the province. There is also a plan for reintroducing a small herd of Plains Bison to Banff National Park in the winter of 2017.